A special panel chaired by Prime Minister Shinzo Abe on Friday set April 30, 2019, as the date for Emperor Akihito’s abdication, the first retirement of a sitting Emperor in 200 years. The Chrysanthemum Throne is considered the world’s oldest monarchy. The decision, expected to be approved by the government later this month, will pave the way for Crown Prince Naruhito, the eldest son of Emperor Akihito, to ascend the throne the following day, May 1, ushering in a new era that would end the Heisei Era, which started in 1989. “It gives me a profound sense of awe that we have taken a significant step toward the throne’s succession,” Abe told reporters in his office after the meeting wrapped up. “We will make our utmost effort to make sure that the Emperor’s abdication and the Crown Prince’s succession will be carried out with no incident, with the blessing of the Japanese people,” he said. 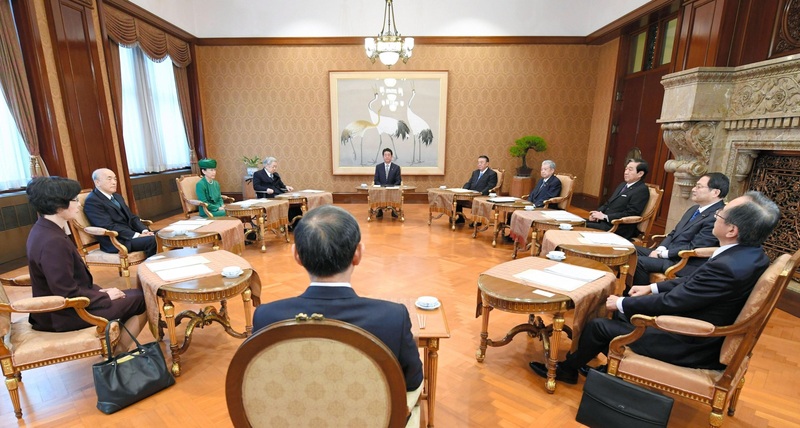 Abe also noted that Friday’s special meeting at the Imperial Household Agency — held for the first time nearly in 25 years — proceeded without a hitch, suggesting attendees, including heads of both chambers of the Diet, the chief justice of the Supreme Court, the grand steward of the Imperial Household Agency and two Imperial family members, did not object to the proposed date. The panel’s decision will be discussed by Abe’s Cabinet on Tuesday and rubber-stamped as an ordinance on a later date, reportedly as early as Dec. 8. 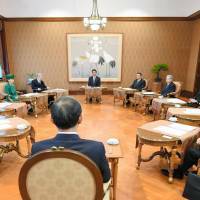 Chief Cabinet Secretary Yoshihide Suga said the government will “swiftly” formalize the timeline. 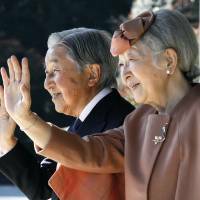 Friday’s development represented a significant milestone in Emperor Akihito’s abdication saga, which stunned the nation when it was first reported last year. In a nationally televised message addressing the nation in August last year, the 83-year-old Emperor hinted at his desire to abdicate the throne — an extremely rare action last taken by Emperor Kokaku in 1817 — citing his concerns that his advanced age was interfering with his public duties. Modern Japan has witnessed the throne’s succession take place only upon the demise of an emperor, as per Article 4 of the current Imperial Household Law. 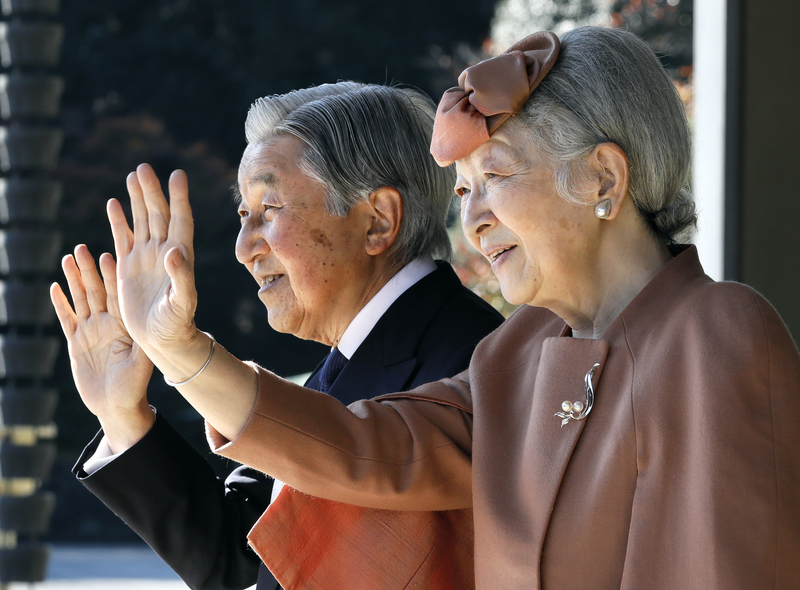 In response to Emperor Akihito’s wishes, the Diet enacted a special one-off law in June enabling him to abdicate. Initial reports say some in the government had originally called for a March 31 abdication and a subsequent change in Japan’s era name, or gengō, on April 1, on the grounds that these dates will help minimize confusion among the public as they coincide with the start of Japan’s fiscal year, which begins in April. The change of an era name is significant in Japan, where the custom of gengō is deeply rooted in everything from calendars and official documents to computer programs, and often takes precedence over the internationally used Gregorian calendar. Suga said, however, that the late April date is the best option due to the early part of the month being regarded as a particularly busy period. April, often the timing of university enrollment and the start of new employment, is synonymous with starting a new life. He also mentioned that nationwide local government elections, which take place every four years, are also scheduled to be held in April that year, which could lead to a potential surge in political tensions. Suga added it is “theoretically possible” that the switch into a new era will not coincide with Crown Prince Naruhito’s rise to the throne on May 1, 2019. However, his assertion that the government will minimize public confusion suggests such a scenario is unlikely. The top government spokesman didn’t clarify when the government will unveil the name of the new era, but he claimed officials will make sure “the life of the public will remain unaffected” by the shift, indicating that the government will give enough advance notice to avoid causing confusion. Emperor Akihito, who underwent heart surgery and treatment for prostate cancer, is widely regarded by the Japanese public with fondness, due partly to the diligence he often shows in visiting and consoling disaster survivors. The Emperor is defined by the postwar, pacifist Constitution as a “symbol” of the people and has no political power. The abdication issue has also sparked debate on whether other reforms are needed for the Imperial succession system. Concerns over the sustainability of the male-only succession system have been growing because the Imperial family only has one young heir, the 10-year-old Prince Hisahito. The other seven unmarried children are all women, and six are in their 20s and 30s. Under the law, women are obliged to abandon their Imperial status if they marry a commoner.